Technically, esports betting is not too different from betting in other sports or events. You register on a special website, donate certain sum of money on your virtual wallet and then make a bet for a suitable match you choose. Betting websites are simple and clear, so it won’t take you long to deal with their functioning. Nevertheless, there are many features, secrets and hidden riffs that may prevent you from getting richer or satisfied. It is a frequently met delusion among both beginners and experienced betters: to bet on a team of players they know personally, make friends with, or earned money previously. And if a betting coefficient is for them, it seems to be a guaranteed profit. But betting on your favorites because you’re sure they win is completely different from betting on them because they’re your friends or you just like their logo. As in many other cases, emotions will rather be harmful than helpful when it comes to betting on any esports event. You won’t want to become a passenger of an inexperienced driver or to trust your life to a first-year medic student, would you? So why do you thing betting on a game you never heard about before to be a good idea? Do you know nothing about “Counter Strike”, heard something about “DotA 2”, finished the singleplayer campaign in “StarCraft” and want to bet on something? You better bet on the last title: at least, you know something about how that game works. As only you start reading senseless forum comments on betting from numerous “Internet experts” and “home specialists”, you lose control upon your behavior. People who know where they can hitch a jackpot just make bets silently. All the rest means empty words not worth listening to them. The “absolutely trustable” information about match fixing goes the same way. Players who actually want to fix some games will keep silent about that. Before you decide to bet your money on this or that game, don’t be too lazy to learn basis. What factors to review when betting on “DotA 2”? How old are members of this or that team? Does the player exercise? How does he look? Another helpful information source will appear if you learn statistics analysis of wins and losses for players or teams, maps of matches. What is even better for you is to have a small personal experience as a pro player. The more information you have, the more accurate your bet will be. That’s an obvious tip you shouldn’t underestimate. At the certain stage, after a chain of wins or losses, human brain starts losing its criticism. It will seem that you’ll win after a lose streak or you’ll feel yourself undefeatable. At the moment when such thoughts start appearing in your head, when you start speaking of yourself as of the “lucky guy” and thinking of signs and superstitions, it’s time to stop. Esports betting means heavy intellectual efforts requiring clear mind. Don’t worry, your game is about to come, and there is no “Miss Fortune” at all. There is a stable and popular delusion about the only reliable strategy to win on esports betting is to make many bets on one or many games. Nevertheless, booking business professionals say it is better to deal with no more than four bets at a time. A bug number of bets quickly kill critical perception ability in your brain. As a result, a too excited person has no wins and no money. Choose the booking company to make bets with carefully. Esports gain popularity quickly, but frauds come along with them. The cleverest of them usually publish some kind of statistics difficult to understand and using special definitions, blind betters with high coefficients and tempting bonuses. Try to find the license of the chosen company: it should be placed directly on the website. Additionally, pay attention if more or less known payment systems cooperate with your bookers obligatory. Seriously, there are life situations when the game just refuses to “go”. You could fail to count something, make wrong conclusions… Players are not perfect, too: someone’s hand got hurt; someone started playing the game after a breakup with a girlfriend without mood, etc. If you feel yourself trapped in an unlucky chain or not having “your day”, maybe it is time to make a break in betting. All in all, your good mood is an important factor here, too. In this article, I decided to mention all the worthy movies about esports. Here is a place for documentary, comedy and drama films. All of them are valuable artworks you won’t feel shame to show your parents and friends. The year 1989 what’s up with esports? But there is enough esports in this move by universal. This was the first time when serious video game competition had been shown on a big screen. Training, scene, viewers, everything looks just like in our times. It is very interesting to watch how things looked like and how Super Mario Bros 3 tournaments were organized in 1989. This is the very first serious documentary movie on esports from the National Geographic TV-channel. They showed the whole world that computer competitions are not just games. Many people have gaming as their job. The documentary was based on the main tournament of that time – WCG in the StarCraft discipline. But even if you don’t know this game, this movie will be interesting for you. The program authors tell about why esports is beautiful in simple words. Everything began with this movie. In 2007, MOBA had no special popularity. WarCraft III and Counter-Strike ruled the world of esports at that time. Beyond the Game movie is devoted to two great WarCraft pro players in history – Sky and Grubby. The film touches stories of legends, ways of their glory and esports in general. Their live goals were different but they were lucky enough to become stars of their time. This was the first movie telling about gaming competitions simply. This is one of the first professional movies on esports. Authors visited American tournaments of that time to find out what esports exactly is. They talked to famous players (such as Fatal1ty), game developers and regular fans. 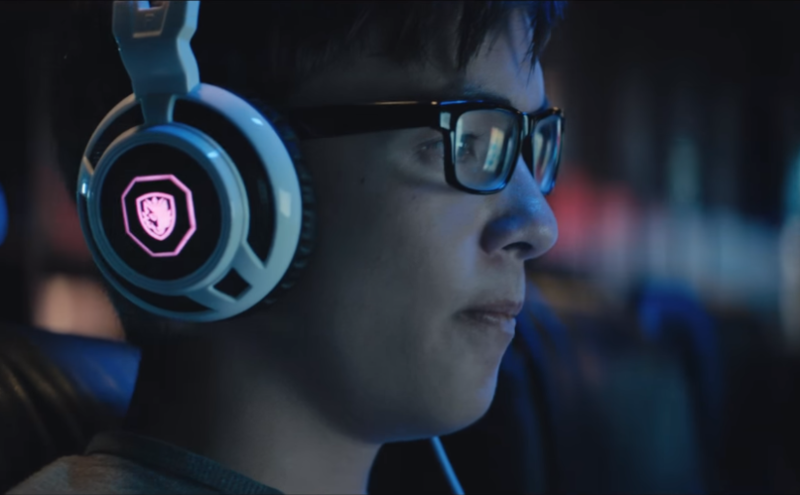 The movie touches the other side of esports: about problems. There are enough troubles in careers of pro players: problems with studying, alcohol, family difficulties, etc. And if other movies tell and show sweet stories about gaming competitions then “Frag” is a sad movie about difficulties. Watch this film if you think becoming famous is easy. This is the first movie by Valve about The International 2012 tournament. This movie is about participants. It is targeted not for wide audience but for people who know the deal with DotA 2. It is interesting to remind how it passed, how players prepared and worried. Almost all esports movies are made by people connected to the industry. “Noobz” is the movie many websites called a “Hollywood esports movie”. In fact, it is a comedy indie-movie. It tells a story of players moving to the Gears of War tournament. This film is not bad as the “trash” one. It’s not too funny but still worth watching. Many people write comments like “Why do they make another esports documentary? Try something else!” Well, here is a try to film a esports comedy. “Road to Worlds” is a high-quality movie in three episodes by Riot Games. This is a movie about players and teams, about personalities of esports scenes. How did players come to what they have? 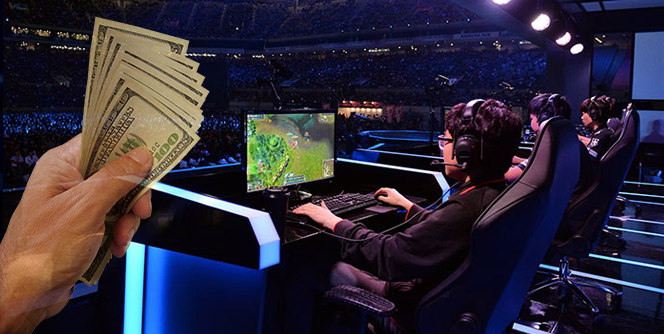 Today, esports mean big money and everyday tournaments. Things weren’t that cool in the past. Pro players remind of past years when esports only began to grow. This is a famous movie by Valve telling about not only the story of the tournament itself. It touches stories of tournament stars and their successes and shows them in a beautiful way. This is a Polish movie on esports telling about what exactly competitions are, how to become a pro and to pass the whole difficult way to the top. Becoming a star is a tough quest but one has to be patient and hard-working in order to win desired trophies. The movie is Polish, so Virtus.pro CS team members became its main heroes. This is a high-quality movie about League of Legends stars. The glory of victories and desperation of defeats: professional gamers have to pass them all on the way to the desired glory and championship titles. “Legends Rising” is the 6-episode documentary film devoted to the 2015 Season World Championship. It touches stories of six representatives playing for six different regions: brTT, Uzi, SwordAr, Bjergsen, xPeke and Faker. Every episode reveals details of lives of pro-gamers starting from their past days and ways of becoming professionals, and ending with their preparation to recent tournaments. Hollywood has been trying to adapt popular videogame stories during more than 20 years for now. Despite the fact people sometimes can make good videogames based on movies, the reversal direction does not have that success yet. It’s difficult to say why things go that way. Sometimes, screen adaptation rights come to not the best teams. Additionally, there are games just not suiting the format of full-meter movies. In this article, I’d like to talk about 10 movies which are much worse than original games serving as their source stories. Some of these films are still worth watching, other ones are just terrible. I will try not to judge but can’t guarantee that because I’m passionate enough about both movies and videogames. The game: Resident Evil game series became the main example of survival horrors, its real classic. With every new part, developers make gamers happy. This franchise tells a story of the terrifying Umbrella corporation and scary zombies. In addition, games usually offer complicated puzzles and stressful atmosphere. The movie: unfortunately, movie authors failed to recreate the atmosphere felt by gamers. First movies of this franchise were watchable enough (the first one is my favorite), but the fourth one lost all positions and became one of the worst video game movies I’ve ever watched. The game: it is one of the most popular fighting games. The very first game appeared on arcade machines in 1987. The Street Fighter title was the revolution in fighting videogames. Nobody could see anything like that before. 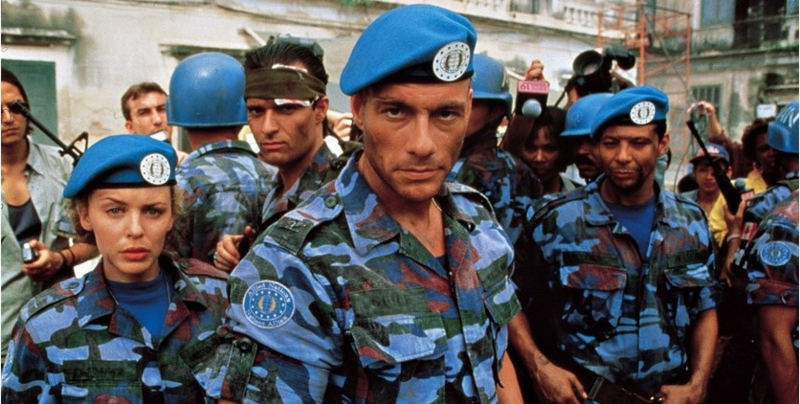 The movie: the screen adaptation attracted many people with Jean-Claude Van Damme playing the role of a main hero. The story tells of a mad dictator taking hostages and demanding money for their lives. 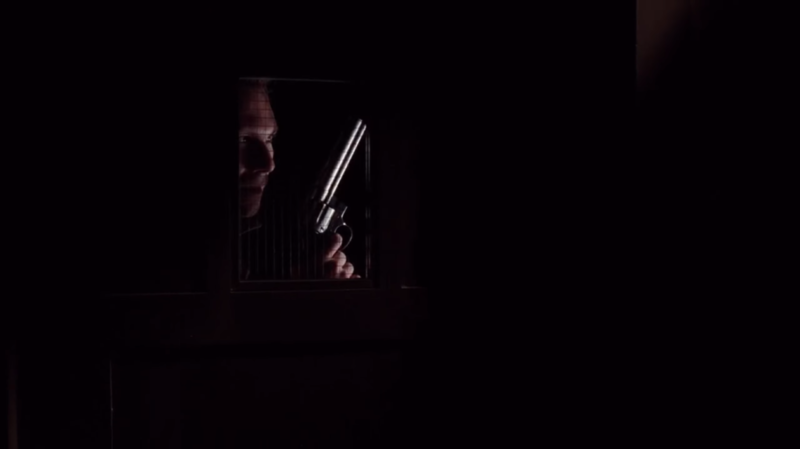 The mission of the fearless colonel William Guile is to find the headquarters of bad guys and neutralize them. In fact, the movie has nothing in common with the game except of a title and character names. The game: Mortal Kombat is another one of most popular fighting videogames. The franchise contains more than 10 games, movie series, full-meter movies and some comics. Gamers all over the world take part in Mortal Kombat tournaments. The movie: unlike the first part of the movie which is definitely worth watching, the sequel became a total failure for “Mortal Kombat” series. Game fans mainly criticized dull dialogues and weak actors. Additionally, many people did not like the low quantity of cruel fighting scenes which the Mortal Kombat videogame is famous for. 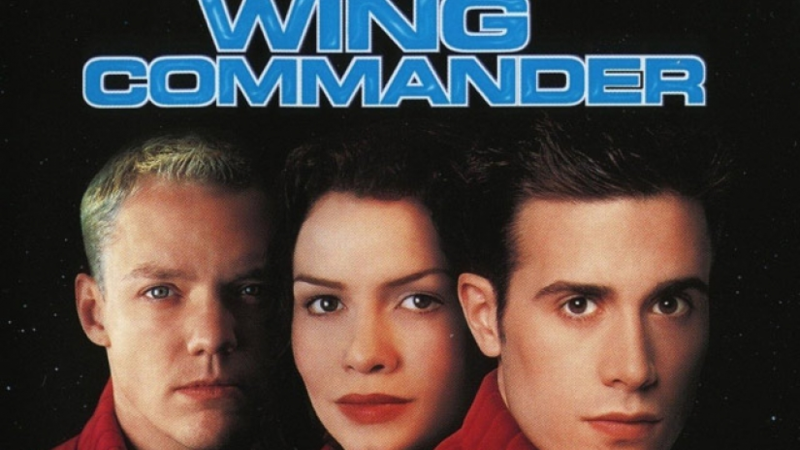 The game: Wing Commander is the space battle simulator released mainly on PC’s. The game got a quite big fan base thanks to its simple but interesting story. Gamers liked the attractive and involving gameplay and a special visual style as well. The movie: unfortunately, the movie failed to become equally successful. Viewers got some battle scenes good enough for their time but other moments accenting on dialogues and screenplay were just too bad. Fox studio had serious financial losses after the launch of this movie, and this fact led the game series into oblivion, too. The game: the universe was created in the fantasy style including steampunk and Asian culture elements. Blizzard developers created the world of Azeroth including four continents: Eastern Kingdoms (the homeland of humans), Kalimdor (elven lands), Nothrend and Pandaria. Additionally, the universe included worlds of Argus (draenei homeland) and Draenor (the world of orcs). The story of the universe mainly describes the battle of the Alliance and the Horde, and their fighting against the Burning Legion which is a threat for Azeroth. The movie: this one is one of my favorite, but I’ll still try to be unbiased. Despite all attempts to make fans be happy, authors of this movie only showed a bunch of average graphic effects. Viewers criticized weak action, too: the movie did not get worthy epic scenes and big-scale battles. Mostly, viewers and criticists said the Warcraft film to be very weak considering the status of the universe. The game: the game is a top-rated racing action franchise. The first game was released by EA back in 1994. Nowadays, the Need for Speed series is the most successful racing videogame series in the world and one of the greatest franchises in the whole history of gaming. The movie: it has Aaron Paul, Dominic Cooper and Dakota Johnson. And that’s all. The dull story only tells about the car mechanic having illegal racing competitions as his hobby. The game: the main hero is the private detective Edward Carnby hired by a collector to create an inventory of the mansion property. The game conquered millions of gamers with its horror component. The first part was connected to stories by Howard Lovecraft and became the precursor of all survival horror games. 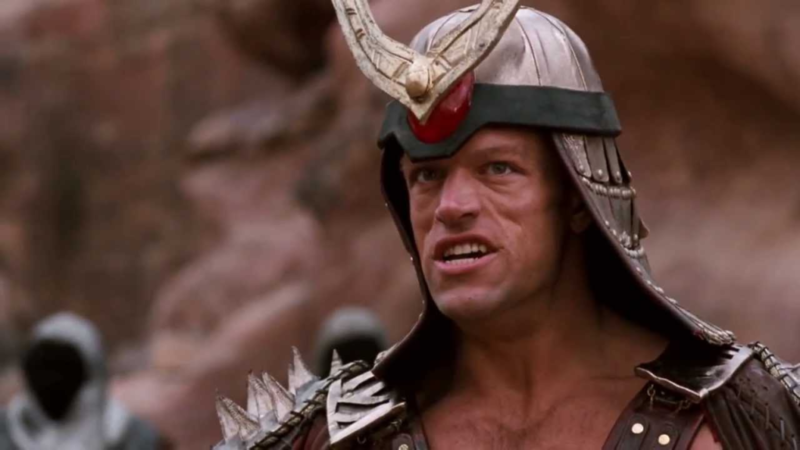 The movie: was the work of the world’s worst video game movie director Uwe Boll. Every film by him is a total failure, especially if you belong to the group of people familiar with original games. The game: the Assassin’s Creed series became very popular and lived long without entering big screens. As a result, the French Ubisoft studio sold screen adaptation rights. The original series tells of adventures of assassins during various periods of human history in different countries having real historical events as background like the Third Crusade or the Great French Revolution. They also added elements of science fiction and cryptohistory. The movie: people had big hopes about it. But who would think Michael Fassbender to participate in a shameful movie? The main problem was the try of screenwriters to make the film as realistic as possible. All in all, the Assassin’s Creed movie is discombobulated, has weak playing and minimal correlation with the original game universe. Not good. The game: one of the strongest game series ever appeared in late 1980’s. It tells of adventures of a nameless hero with multiple deadly traps on his way. Gamers all over the world liked this game. In 2000’s, the project was reanimated and became one of the most popular franchises of its time. The movie: it cost a lot for its authors. According to some data, the budget of the film exceeded 200 million dollars. It was the most expensive videogame movie and the highest-grossing one. But the project by Jerry Bruckheimer still failed to fulfill expectations of “Disney” studios. Of course, fans of original games were disappointed because of screenwriters who decided to rewrite the story in their own way for some reason. Still, as for me, the film is quite watchable for those who never heard about Prince of Persia games. Игра: Postal used to be the cult thrash-game of its time. In the city of Paradise they build a huge entertaining center and one shop receives a delivery of cool toys. These toys are wanted by two groups of people: terrorists want to use them for attacks and hippies wand to steal them and earn money. The main hero balances between two groups in addition to his own life problems. 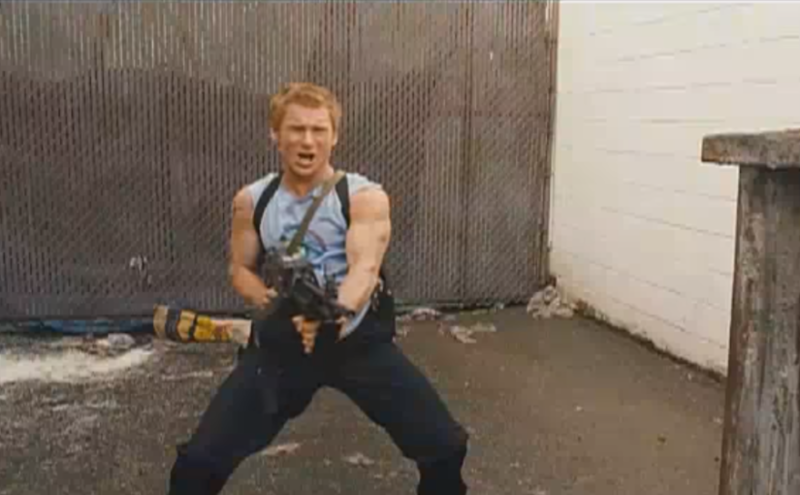 The movie: yes, this is another failure by Uwe Boll. The screen version of a satiric game is filled with bad jokes and toxic scenes. The film contains many silly moments and the director tries to show people’s indifference about modern problems. You won’t find any plot here. It lived exclusively in the Internet for a while but success and incomes completely changed the game. Television is interested in esports industries but doesn’t know how to work with it most effectively yet. Let’s take a look onto the most interesting and remarkable interactions of esports and television. Eastern countries were pioneers of esports topics adapted for TV’s. At early 2000’s WCG tournament series appeared on big TV-channels of South Korea. In Europe, serious esports broadcasts began in Sweden first. 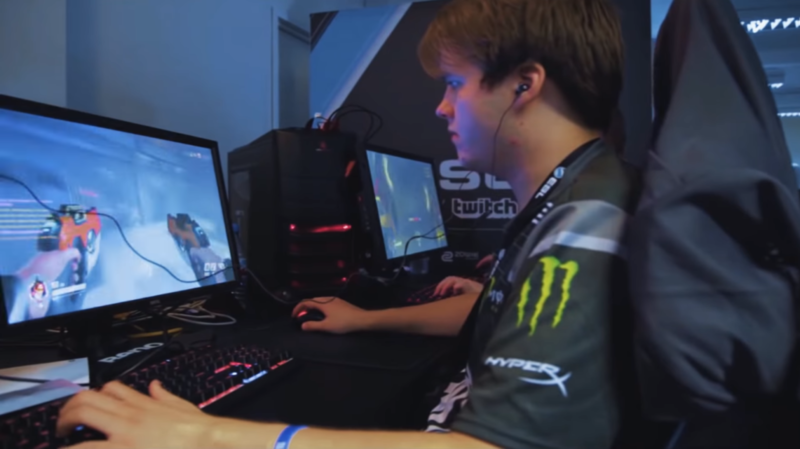 The TV6 channel regularly shows Stockholm DreamHack tournament events, CS:GO majors and The International. It should be mentioned, that the initiative to do that was not their own: the contract between the provider and local government had the obligatory point to show the competition on local TV channels. The initiative was successful, and more than 100 DreamHack matches were shown since that time already. In South Korea, USA, Sweden and China where virtual sports develop perfectly and use support of fans and governments, channels and TV-shows touching the topic are not rare. One of examples: esportsTV channel from ESL. The channel is available after the subscription for various digital platforms like: Skylink, Viasat, Canal Digital, etc. This allows it to appear on TV-screens of Baltic and Scandinavian countries, Africa, some European countries and the USA. Viewers can watch ESL One, IEM and Pro League tournaments. Disney became one of the greatest “family” esports distributors. On channels like Disney XD, ABC and ESPN there appear broadcasts showing the Overwatch League, EVO series competitions, and Injustice 2 tournaments. Together with Nintendo, the corporation launched series of TV-shows devoted to Nintendo Switch family competitions where children and parents play Super Mario Odyssey and Just Dance 2018 together. Thanks to the cooperation with ESL and Riot Games, the ESPN broadcasting network got expanded with matches of North American League Championship Series and ESL One, Pro League and IEM tournaments. One of the greatest Disney’s competitors, the Nickelodeon channel, added esports content to their assortment, too. They invested $15 million to develop the Super Gaming League for Minecraft and some other disciplines to broadcast matches on the TV-channel. Negative cases exist, too. The Czech COOL channel decided to show all 84 matches of the DreamLeague season 2. But they failed to attract enough viewers and never came back to esports. 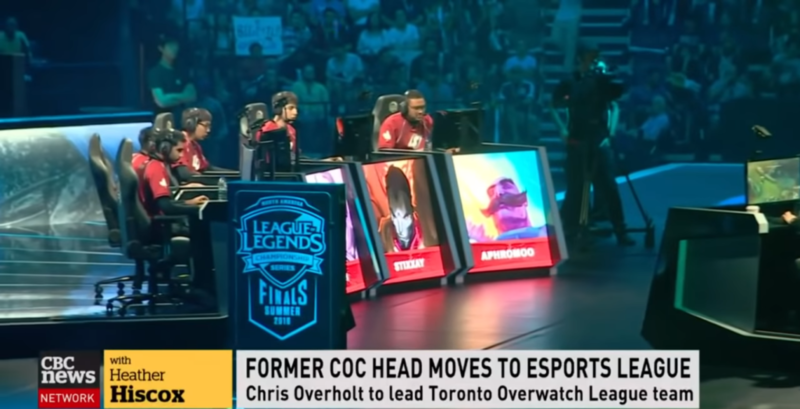 What Can Prevent Esports from Development on TV? “Another” audience. Mostly, people who watch TV are at their 35 or older while esports are interesting for younger ones. Fans are used to search for interesting contents on Twitch, Facebook, YouTube and other platforms. They don’t have enough motivation to switch TV-sets on for that yet. Different formats. People watching esports tournaments are used to the possibility to communicate with commentators and other viewers via chats. TV can’t offer such interaction with the audience. Many sponsors often provide giveaways on their steams (keys for unique skins, free games etc.). If there is a choice between watching a TV or a usual stream offering a reward, then the choice is obvious. Match durations. In regular sports, match timings are strictly limited, so TV managers can organize broadcasts precisely enough. DotA 2 matches last for 40-50 minutes but can last longer. So, even a bo3 matchup is extremely difficult to be timed. Additional difficulty is that many channels have to show ads during certain periods. Ads in the middle of an esports match won’t help the channel increase ratings. Age ratings. Scenes from some games like DOOM or Counter Strike can’t be shown during any TV-time due to age restrictions. Gamers know many different stories about videogames causing violence and cruelty. So the appearance of such contents on TV-screens can cause even more noise and unexpected consequences. Staff. On the TV, there often are people who are busy with esports but don’t really understand the topic. This causes a bad and biased approach towards video games. Esports successfully develop without television, too. Appearance on TV screens can increase its reputation just as the adding of virtual sports into the program of Olympic Games. It is not as important for esports as for the other side. Nevertheless, this acceptance will help attracting new people with professional skills and fresh ideas into the industry. Maybe this will take some more years to try, but the result can have positive effects for both esports and television. These two branches of the modern entertainment industry got a perfect way for earning a lot of cash. They only need clients. 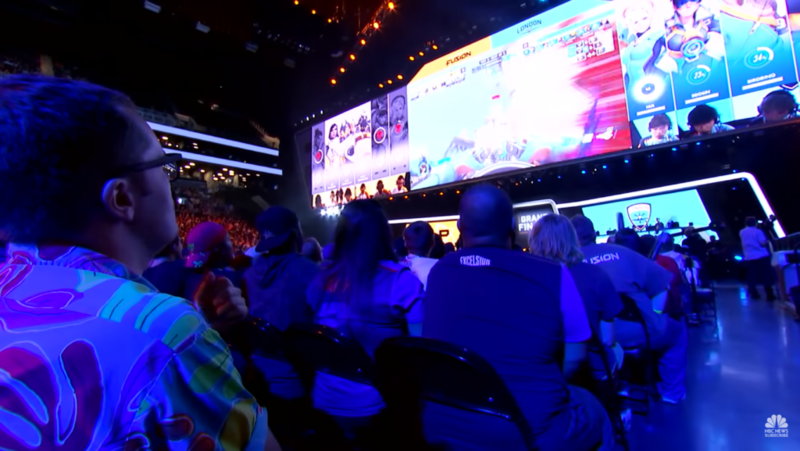 Super League Gaming (SLG) dares towards hosting events connected to esports in theater venues to give players the experience off spending time in a venue with their hobby friends competing on big cinema screens. Cinemas will get profits by renting their physical spaces instead of just wasting it and its time. The question appears: will gamers who are real clients for this business model wish to use this proposition? Good news first for field businesses: looks like the answer is “possibly enough”. SLG (super league gaming) started a Minecraft league for six weeks last fall. The final of the league came up to the championship in December and awarded a 10-year old boy named Julien Wiltshire and his crew with a collective sum of 15 thousand dollars. Minecraft was chosen for the competition partially because of its open-source nature: SLG were able to create special modifications to deliver the required experience for theater gamers. The event was successful enough, because another league tournament of this type was announced for a start in February. Super League Gaming monetizes the competition through visitor tickets for tournament events placed in cinemas. Theater venues get some piece of revenue from the SLG. Brett Morris, COO of Super League Gaming said the scale is all that matters here. If to take a look at the business model itself, it can be explained through the Star Wars franchise movie example. People can watch Star Wars on more than four thousand cinema screens nowadays. The same principle works for SLG. Their level of success is to be dictated by the quantity of screens and cinemas conducting their competitive events. The company has connections with cinemas that belong to the biggest chains like Regal, AMC and Cinemark at the moment. Connections with less serious ones (iPic Entertainment, etc.) are also available for them. There are some theaters behind iPic which seem to offer more of a luxurious experience: top-quality seats, cool menus and cafes nearby, and other things. iPic CEO named Hamid Hashemi who gained more than twenty five years of cinema industry working experience thinks that SLG remains a good possibility to sell out his company’s cinema space. The competition is interesting for 9 to 14 year old children mainly, and Hashemi said this to be one of the most attractive aspects for business. Why? Because this gives cinemas the opportunity to schedule competition events for time which is usually “dead” for cinemas: afternoons. 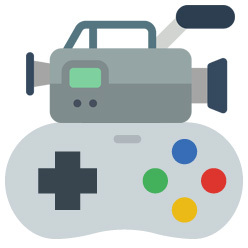 The content of SLG Minecraft competitions was set to be some kind of alternative for cinemas and organized as if someone paid the theater space owner for any meeting organized inside it. Nevertheless, Hashemi noted that such kind of contents does not influence much on the cinema’s earnings: it takes 2 to 3% of overall revenue. Still, it is much better to have the auditorium full of people than to keep it empty at any case. Hashemi stated that his company had been looking for opportunities to use gaming for business. Gaming is predicted to become the top-viewed sport within the nearest 5 years. So, cybersports is big. Cinemark marketing vice president stated the company is open to organize upcoming SLG events because of being satisfied with the existing results. At this moment, almost 30 cinemas of the company are properly equipped to show SLG content. The premiere of a Minecraft competition is considered as successful by these two theater companies and SLG as well. Super League Gaming planned to set partnerships with companies developing videogames in order to provide cinemas with new titles to rotate shows. SLG aims towards getting every game suitable for theater shows. The most challenging and difficult thing for this business is to choose following games. This offers developers profitable income options they couldn’t really have in the past. This means, they can sell real tickets to people willing to watch cybersports events and to spend some time with their likeminders. Minecraft is not a thing people can consider as an esports discipline. Still, implications play a much more serious role. Video game experience can be wanted by customers ready to bring real money for the opportunity to get it. Super League Gaming representatives agreed with cinema companies about their competition to be known by parents. There can be found esport titles created exactly for big cinema screens. Nevertheless, a thousand participants is literally nothing for the scale of national levels of esport events. SLG has some far plans to set more partnering contracts leading to increase the number of interested gamers and competition participants.